Vince Stevenson, Iris Mills, Ronan Bennett, Trevor Dawton and ”Taff’ Ladd. ‘Taff’ skipped bail prior to the trial and the sixth defendant, Stewart Carr (a ‘politicised’ prisoner like Jake Prescott in the ‘Angry Brigade’ case before him) pled guilty and disassociated himself from his fellow accused. We have just witnessed the first of the political show trials of the ’80s. There will certainly be others—and what proportion of them will be before freely-selected juries? Before any kind of jury? With anti-libertarianism becoming the rallying cry of the extremists of the right and centre, the state is creating an ugly balance to the unifying anti-nazism of the left. Its methods are rather different, however. Such is its vigilance that it can find conspiracies when nothing has happened. Crime is manufactured from the fantasies and prejudices of the police and judiciary and attributed to anyone who seems politically appropriate. A few state props and a jury ‘randomly’ selected from a controlled list and the conjuring-show can begin. ‘Were it not for the tireless work of the police (applause) those in the dock would almost certainly have (insert chosen nightmare)’. An anarchist believes in the end of society as we know it, X is an anarchist. The jury only has to complete the syllogism to convict, and cheer the sleight-of-hand. Ronan Bennett, the prime target of police and security officers in the ‘Persons Unknown’ trial, was the most vulnerable of likely victims. Having spent 18 months in Long Kesh, Bennett was finally acquitted on appeal for the murder of a Belfast policeman. Knowing he would have a short life span if he were to remain in Northern Ireland, with the UDA sworn to kill him, he was obliged to leave home and move to England. Like a growing number of other Irish prisoners, Bennett had become interested in anarchism while in his British concentration camp and had been corresponding with Iris Mills, of the Anarchist Black Cross. Having established a close friendship with Mills, Bennett went to live with her and her husband, Graham Rua, in Huddersfield. 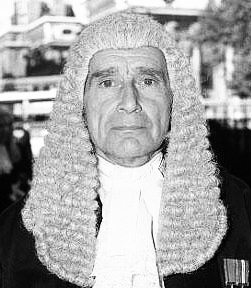 The case against Bennett, Mills and the other defendants in the ‘Persons Unknown’ trial was co-ordinated and planned by Scotland Yard’s chief anarchist-spotter, Inspector Roy Cremer, who last surfaced in the Angry Brigade investigation (a case, incidentally, in which I argued I was planted with explosives by the same squad). This time Cremer was assisted by West German GSG-9 agents operating in London. When Bennett and Mills were arrested again in London, the charge was more specific than the earlier PTA one— ‘a conspiracy to cause explosions’. After all, what else would ‘self-confessed’ anarchists be doing with flour, sugar, weedkiller and electric wiring among their many household possessions? As in every conspiracy show trial since time immemorial one arrest leads to another, and another, and another, until the state believes it has a sufficient number of people in the dock to allow the jury—if there is one—to salve its conscience by acquitting those against whom the prosecution has presented minimal evidence other than that of association. The jury can then convict those portrayed as the main ‘conspirators’. After all the police would never have brought the case in in the first place if they hadn’t been up to something—would they? The case itself was a showpiece of the power of judges. This was demonstrated as much in the way the proceedings were handled as in the extraordinary and unprecedented decision to bring the jury back to court the day after they had delivered their verdict. Without actually telling them so, King-Hamilton could not have indicated more clearly that he at least thought the jury had reached the wrong verdict. It was strange indeed to see people who have given their lives to support such a humanitarian idea as anarchism, being subjected to interrogation by a tedious, pompous and ill-briefed lawyer who, having spent his adult life advancing his career in our capitalist society, argues that it is their motives that are dubious, their principles that are unworthy. and their defence that is a pack of lies. Ultimately, the state had to rely on its carefully-selected jury. Were they influenced by the bigotry of the gutter press? Were they swayed by the knowledge that they too had come under the scrutiny of the state’s police before being called for jury service, been closely examined by a Kafkaesque committee, and could just as easily be the next victims? Did the judge’s anti-anarchist bias and obvious hostility towards the prisoners combine with the heavy-handed, ill-mannered and laborious prosecution case to swing them in favour of the defence? Were they sufficiently impressed by the defendants, and in particular Ronan Bennett’s obvious sincerity and eloquent conduct of his own case? Whatever the answers, one way or another the jury finally decided the innocence of the accused [after 18-months imprisonment, ed]. By that decision to acquit all the defendants, in the face of what was almost a direct order to convict by the judge, the jury have asserted their right to oppose the political use of the courts and police against dissidents and those who oppose the power of the state to control their lives. “Anarchism is on trial in Britain as the Stale continues its persecution of the Persons Unknown defendants. 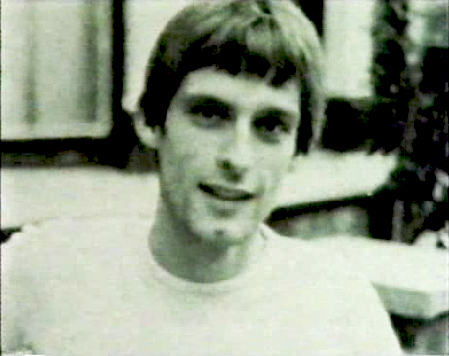 Even though the police case against the six anarchists who were originally charged in May 1978 with ‘conspiracy to cause explosions’ has weakened considerably, and the original charges had to be dropped and replaced with charges of ‘conspiracy to rob, possessing explosive substances (weedkiller, sugar, flour and possessing firearms and handling stolen goods, the prosecution still maintains that the accused are part of an ‘anarchist terrorist conspiracy’. Of the six originally charged, Ronan Bennett, Iris Mills, Vince Stevenson, and Trevor Dawton have finished their defence. A fifth defendant, Taff Ladd skipped his $50,000 bail, while Stewart Carr disassociated himself from the other defendants before the trial and is not being tried with them. During the final week of Bennett’s defence, the prosecutor accused him of being involved in Ladd’s disappearance. The prosecutor claimed that Bennett and his co-defendants could say what they wanted about Ladd in his absence without the jury convicting him. Bennett denied the accusation and said he thought the way Ladd treated his securities was despicable. Prior to the trial, those was a minor sensation in England over the issue of unprecedented ‘vetting’ of the jury. Any juror who was known to have left-wing or liberal tendencies was excluded. Security and criminal records were checked and neighbours and friends of prospective jurors questioned to determine their eligibility. Throughout the trial which started in September, the prosecutor has kept denying that politics are involved. Yet he’s repeatedly probed into the political backgrounds of the accused and their witnesses asking them if they believe in ‘violent anarchy’ and suggesting that anarchism is the same as robbery with violence. The prosecution’s theory is that the six, and others not arrested, wanted to change society radically through violent means but that they needed cash for firearms, false identification, accommodation, etc., and they obtained this through armed robberies. Earlier, the defence tried to get the conspiracy to rob charges changed to concrete robbery charges, but without success. It’s been widely suspected that these charges are the legal cover of one or the most appalling series of persecutions of English dissidents in recent years. 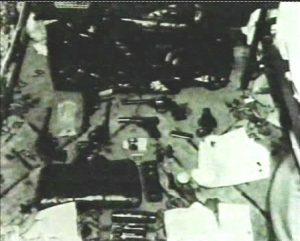 From the start, the six anarchist defendants and others both ‘known’ and ‘unknown’, were singled out as easy targets on the basis of their political beliefs and they and their supporters have been the victims of night time raids, arbitrary arrests, street searches and police harassment. Under the open-ended ‘conspiracy to rob’ charge, anyone who has been an acquaintance of those charged can also be arrested and charged as one of the ‘Unknown’ persons. Stevenson, an early organiser of the ‘Persons Unknown’ support groups, and Dawton were charged long after the others, and more names have been added since. It’s been widely suspected that England’s Anti-Terrorist Squad framed an entire case around the ‘anarchist terrorist conspiracy’ in order to justify their existence as a time when they were coming under fire because of their lack of activity. The police have since manipulated the press, slandered activists as bombers and terrorists and harassed their supporters in an attempt to isolate anarchists and anti-authoritarians from any potential sympathisers. If the prosecution succeeds and anarchism is seen as a criminal political activity, the anarchist movement could be forced underground for the first time in the U.K.